Home / 1950s / JUDY GARLAND triumphant comeback in A STAR IS BORN at Hollywood’s greatest premiere! 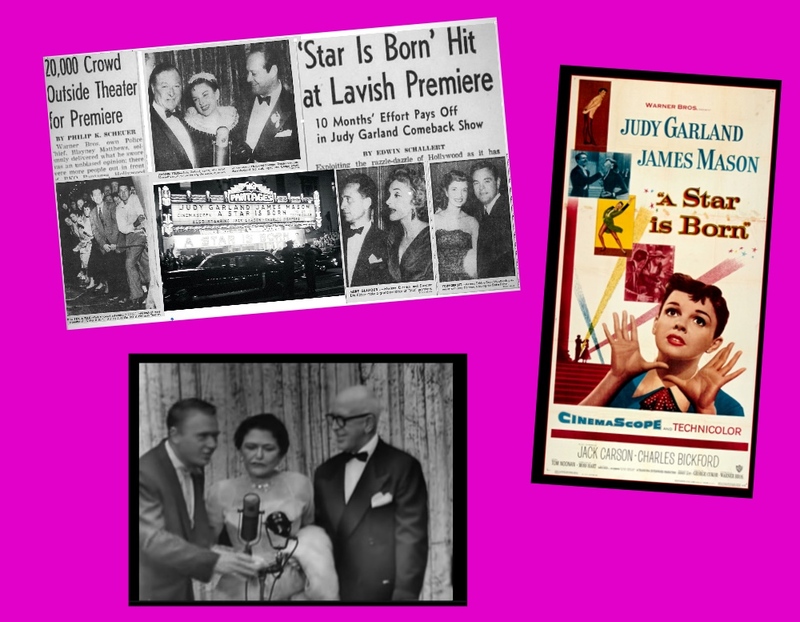 JUDY GARLAND triumphant comeback in A STAR IS BORN at Hollywood’s greatest premiere! 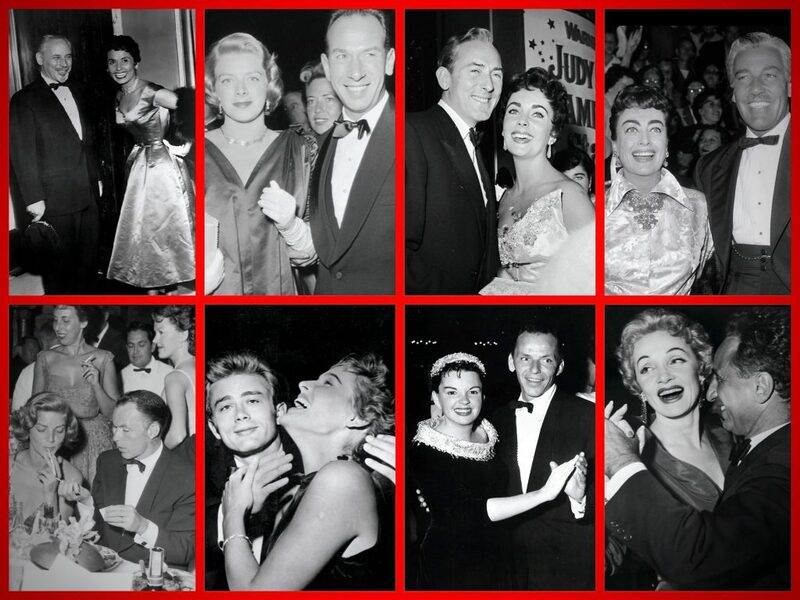 More than a 250 stars attended the September 1954 Pantages Theatre gala premiere. 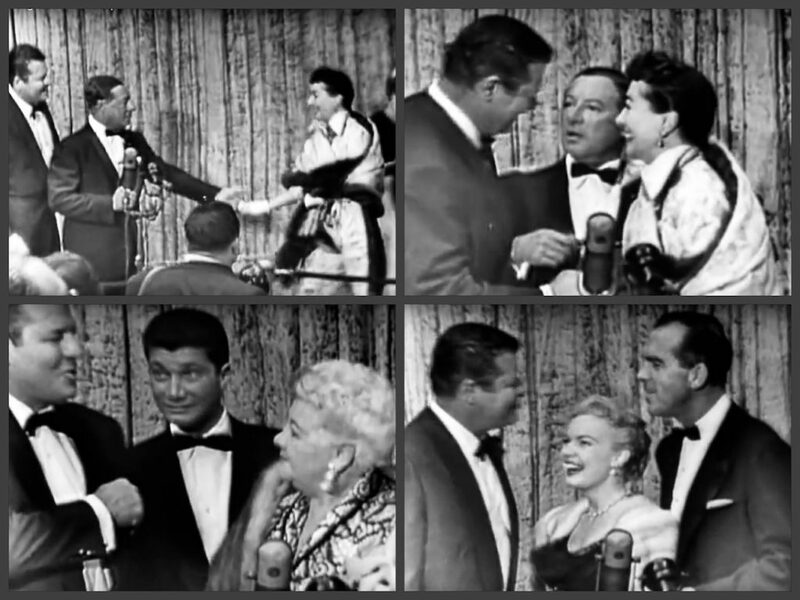 Jack Carson, George Jessel, Judy Garland, Syd Luft and Jack Warner. 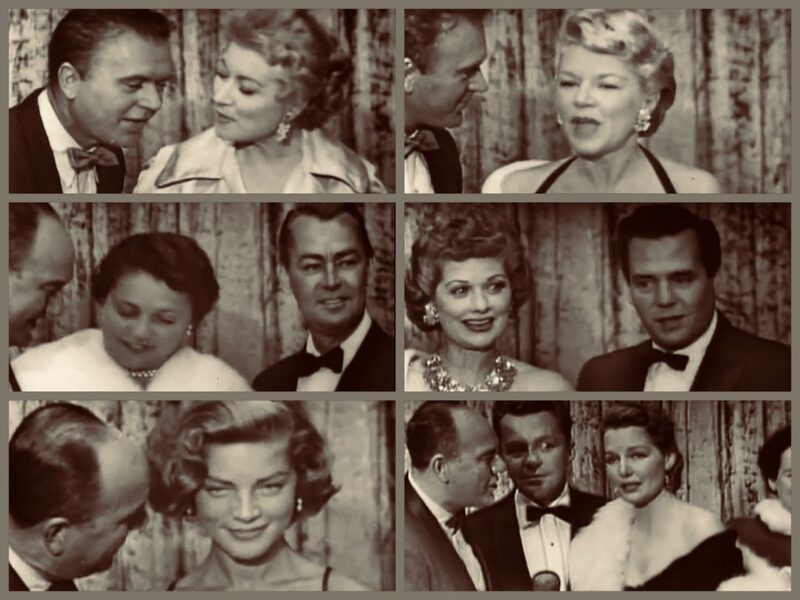 Many predicting an Oscar sweep for the films with top acting awards going to Judy Garland and James Mason. 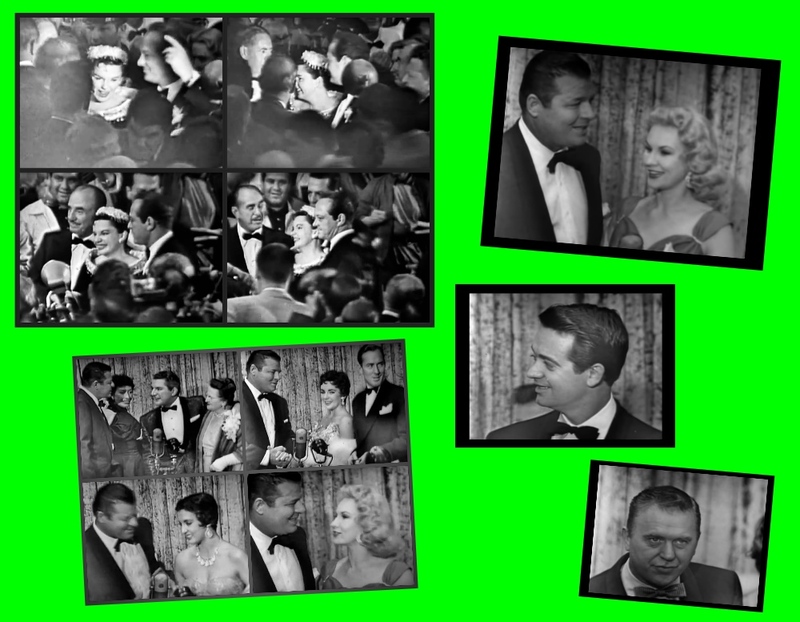 CW: Jack Carson, George Jessel, Joan Crawford, Fred McMurray, June Haver, Sophie Tucker. 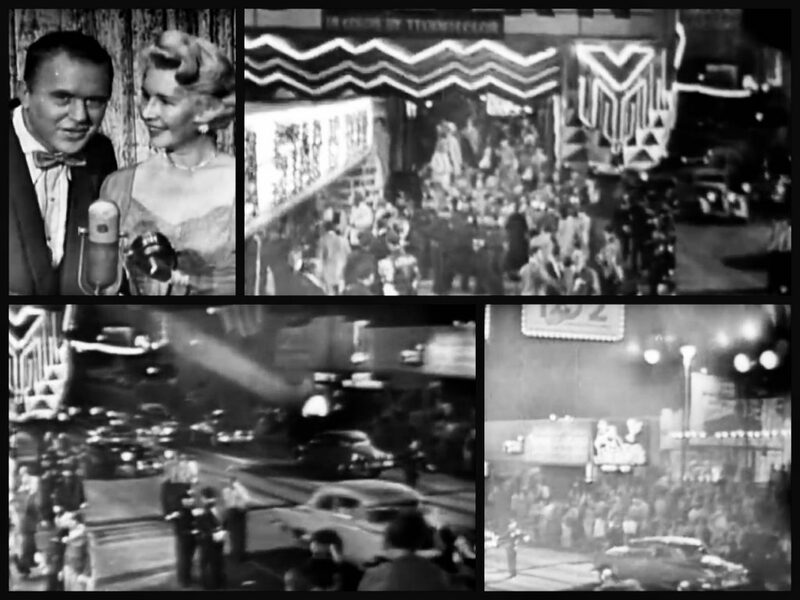 More than 20,000 fans were spectators at the Pantages premiere demanding Warner Bros and the Los Angeles Police Department to organize traffic pans for the premiere. 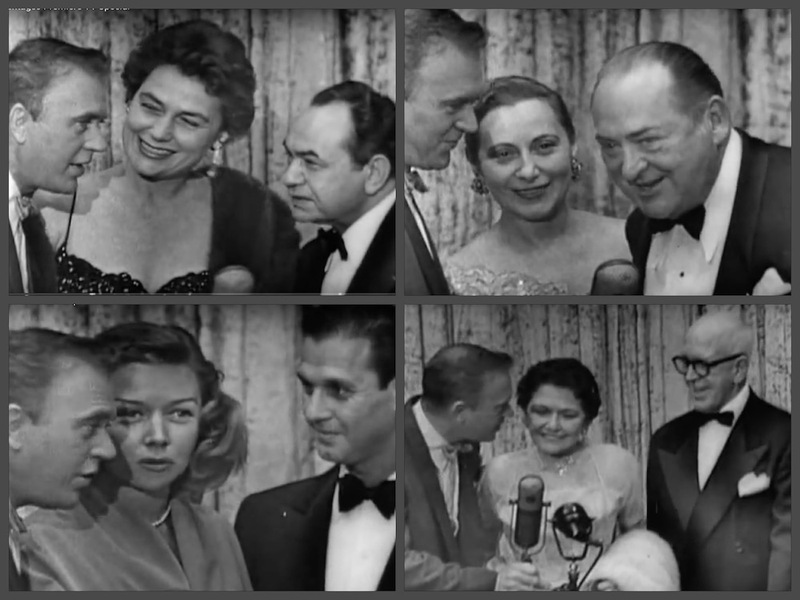 CW George Fisher, Edward G. Robinson, Edward Arnold, Louella Parsons, Gloria Graham. 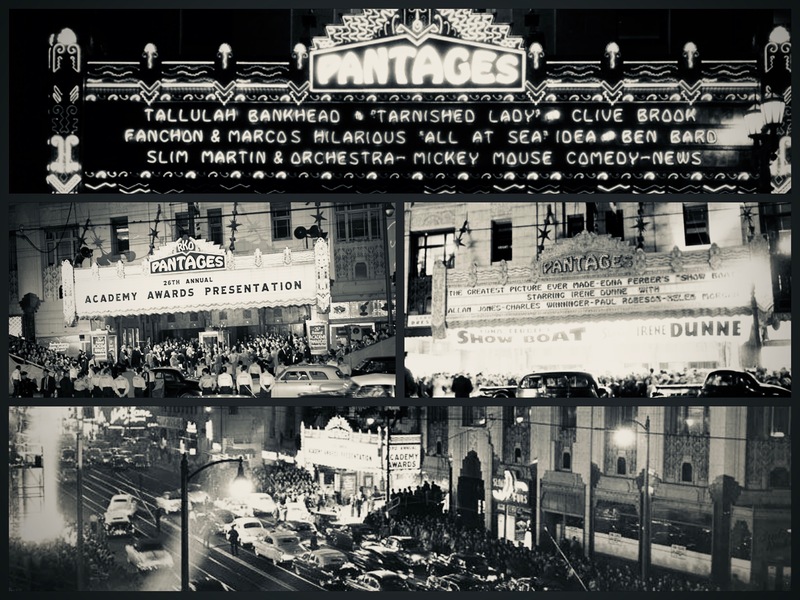 A great video of the Pantages premiere. The critics celebrated Judy Garland’s return to the screen after an absence of several years and praised her performance in the heavy-budgeted remake of the memorable 1937 Janet Ganor-Fredric March film. James Mason was praised for his interpretation of a top Hollywood star, whose descending career is blamed on alcoholism. 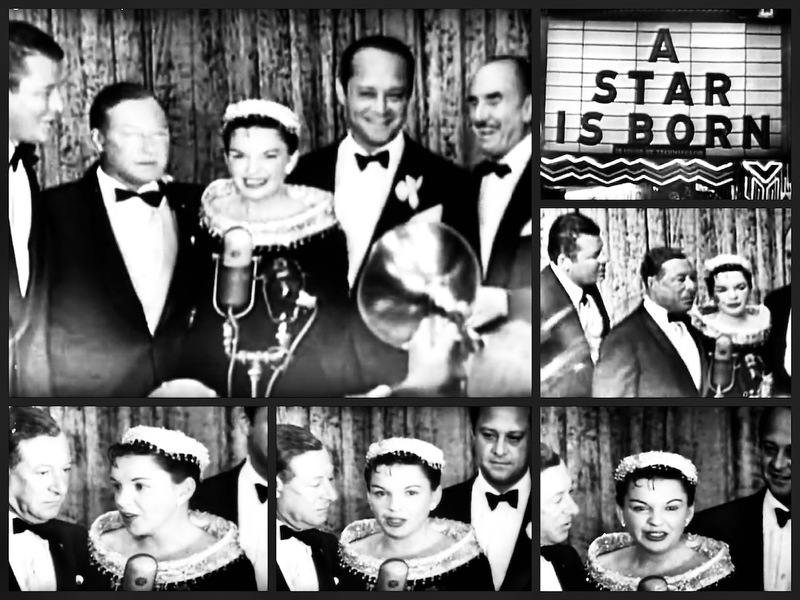 Several months later Judy Garland would not win the Oscar for A Star Is Born. Hollywood and the public were furious that the Oscars had passed up Garland for a win. 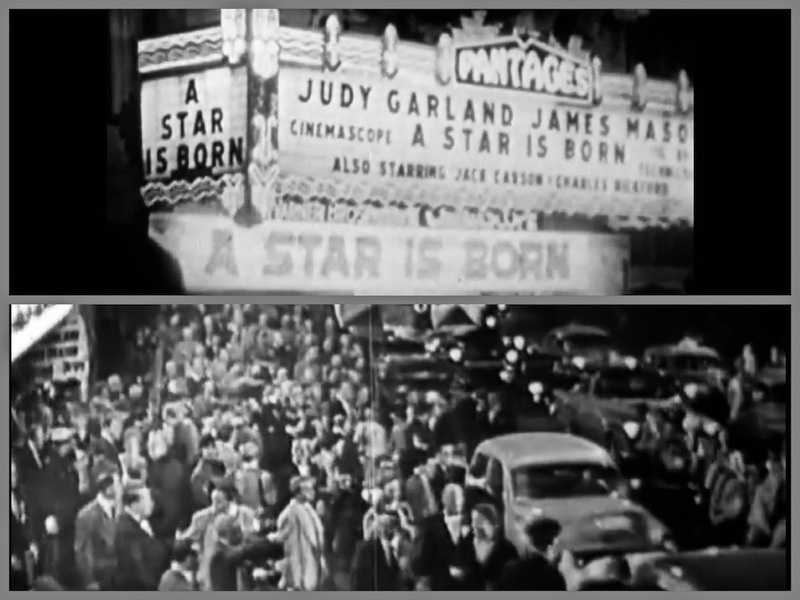 A Star Is Born is the 1954 American musical film written by Moss Hart, starring Judy Garland and James Mason, and directed by George Cukor. 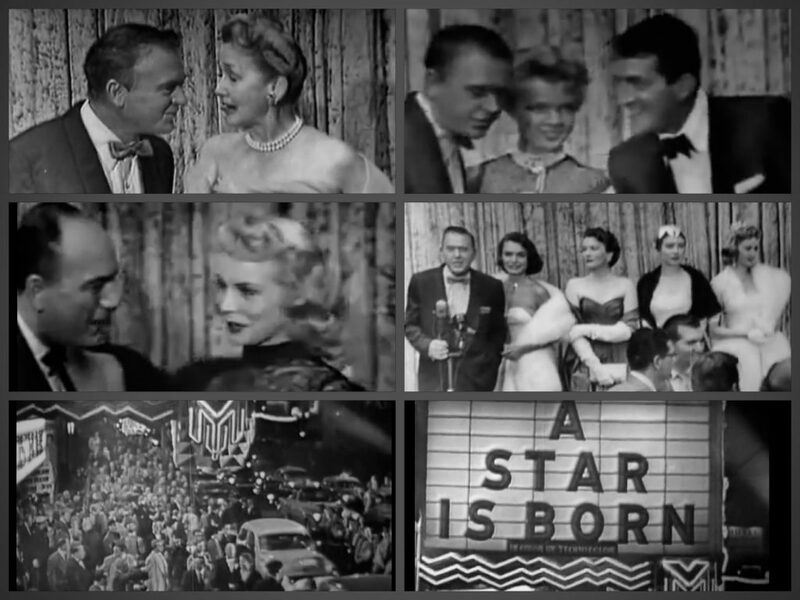 More scenes of the premiere. Hart’s screenplay was an adaptation of the original 1937 film, which was based on the original screenplay by Robert Carson, Dorothy Parker, Alan Campbell, and from the same story by William A. Wellman and Carson, with uncredited input from six additional writers—David O. Selznick, Ben Hecht, Ring Lardner Jr., John Lee Mahin, Budd Schulberg and Adela Rogers St. Johns. 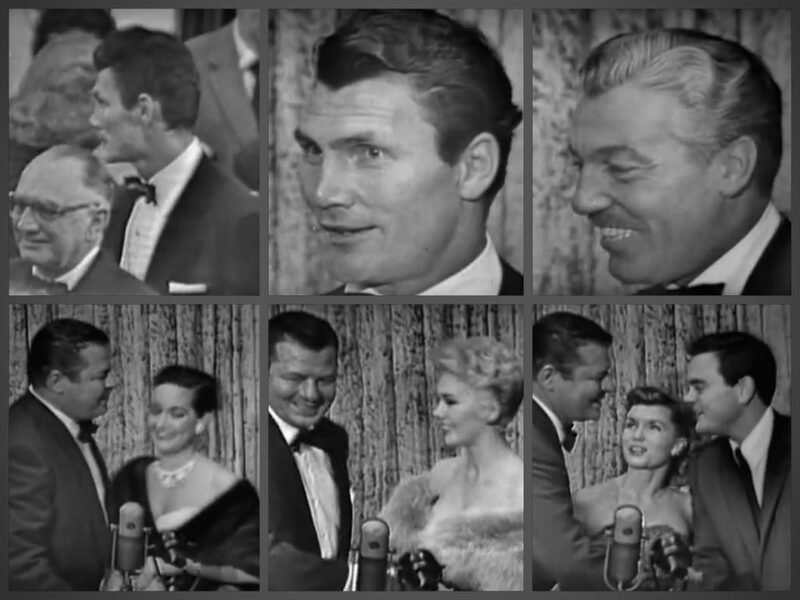 Jack Palance, Cesar Romero, Debbie Reynolds, Kim Novak, Dorothy Lamour. The film ranked #43 on the American Film Institute’s 100 Years…100 Passions list in 2002 and #7 on its list of greatest musicals in 2006. The song “The Man That Got Away” was ranked #11 on AFI’s list of 100 top songs in films. Garland had not made a movie since she had negotiated a release from her MGM contract soon after filming began on Royal Wedding in 1950, and the film was promoted heavily as her comeback. 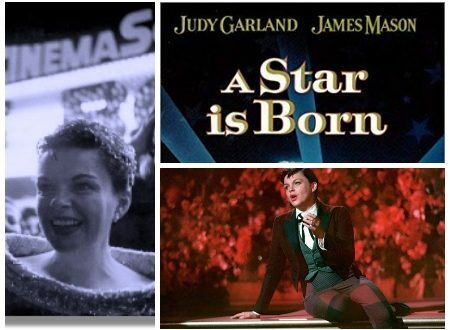 For her performance in A Star is Born, Garland was nominated for the Academy Award for Best Actress. 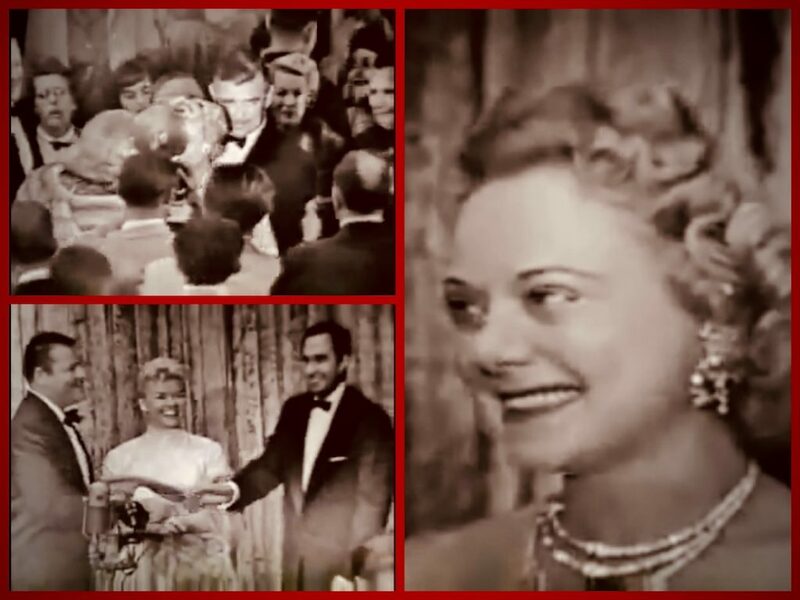 NBC, which was televising the ceremony, sent a film crew to the hospital room where she was recuperating after giving birth to her son Joey in order to carry her acceptance speech live if she won, but she lost to Grace Kelly for The Country Girl. Previous: French Line’s fabulous Art Deco liner SS NORMANDIE and her tragic demise in New York Harbor.